D. N. Prasad – or DNP as he is known as in professional circles – is a transformational HR leader, culture builder, mentor/advisor, program manager, strategist and start-up guy in the HR space! He is also a professional coach who is certified by the International Coach Federation. 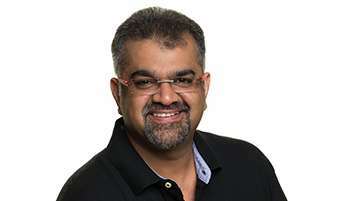 Most recently, he served as the director and head of Google People Services for APAC and as a leadership coach. Prasad has a Bachelor’s Degree in Engineering from Bangalore University and a Post Graduate Diploma in Management (HR) from T.A. Pai Management Institute (TAPMI). His progressive leadership experience spans seven and a half years with Infosys and more than a decade with Google. He has set up several new functions in the market (in India and Singapore), in the region (APAC) and globally, building teams, culture and careers. He serves on the HR Core Advisory Committee for NASSCOM India, the HR advisory team for SPRING, Singapore and on the Board Of Management Studies of T.A. Pai Management Institute, Manipal India.